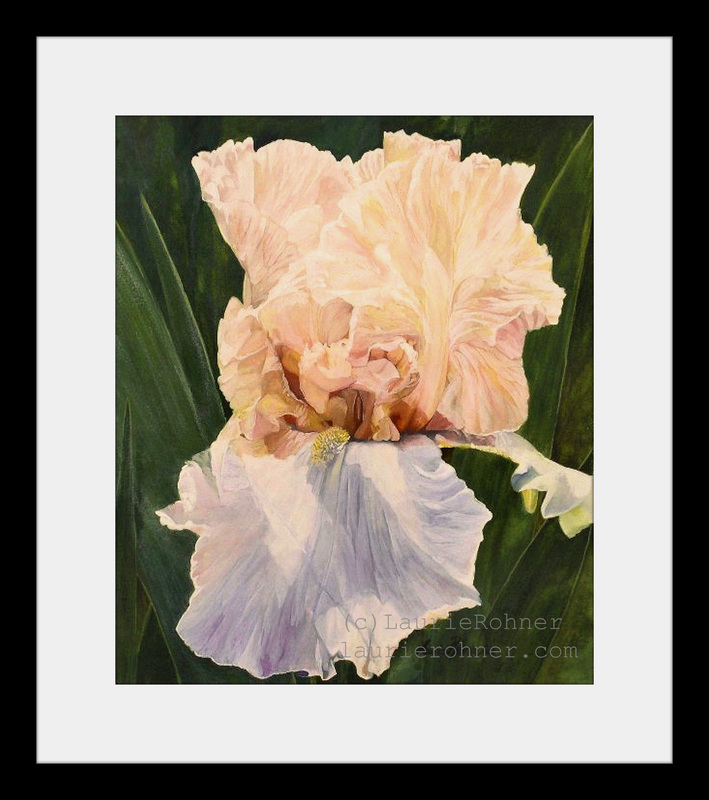 Watercolor Painting Iris Botanical Detailed Realism Garden Flower Original paintings by Laurie Rohner. Botanical garden original watercolor painting, iris garden flower nature art hand painted by Laurie Rohner is a detailed watercolor painting titled Botanical Peach Iris. Botanical watercolor painting of a Garden Iris is detailed realism of a bi-colored botanical garden flower, painted in my unique style of glazing. The painting has up to 10 layers of pigment. The surface of the paper has a luminescent opaque appearance a quality I admire. Unfortunately a photo is not capable of expressing the dramatic effect I achieve with this method. I paint using a process called glazing. It is layering pigments down on top of each other building depth of pigment and emotion through color. The process is labor and time intensive. This painting took approximately 56hrs to complete. There are about 10 layers of pigment on this painting.